As a G2G Communities learner you have access to free one to one support to help you develop and improve essential skills to your timetable. Our friendly, professional learning support tutors can offer you guidance, support and advice on a large range of topics, such as CV writing, learning to use a computer, improving computer skills, navigating the world wide web, social media, using your electronic devices such as tablet, laptop or smart phone – the possibilities are endless, we are here to help. Our one to one support sessions over time will give you the confidence to learn independently, we will still always be on hand to help, plus you can always book in for more one to one support as and when you need it. You can book a suitable time to reserve a computer and come in and work by yourself, use our free learning resources, learn online with our massive range of courses, do some job searching or improve your skills and knowledge. All our staff are experts in different fields, so there is always someone on hand to help, with our one to one support you can tailor your session to your specific needs, a great way to improve your skills in a small office environment. G2G Communities was co-founded by William Lockitt, Doctor of Philosophy in e-learning, with his thesis on ‘The Effective Management and Integration of ICT within Further and Adult Education Delivery Methodologies’, you can draw on his wealth of knowledge and experience in the education sector. Moira Lockitt (CEO & co-founder) was a nursery nurse for children with special needs for over 30 years, Moira provides a wonderful, safe learning environment and always puts you and your needs first. We have so many reasons why we provide one to one support in our learning centre in Rhyl, North Wales, here are a few of them. We are focused on getting individuals furthest away from the job market back into employment, starting their own business and supporting innovation within existing businesses in North Wales. We support a wide range of individuals including: unemployed people; those not in education, employment or training (NEETs); short and long-term unemployed; women returners; single parents; carers; people with disabilities and other disadvantaged or minority groups. We also deliver LEGO Education to Schools, Libraries, and Communities First venues throughout North Wales. 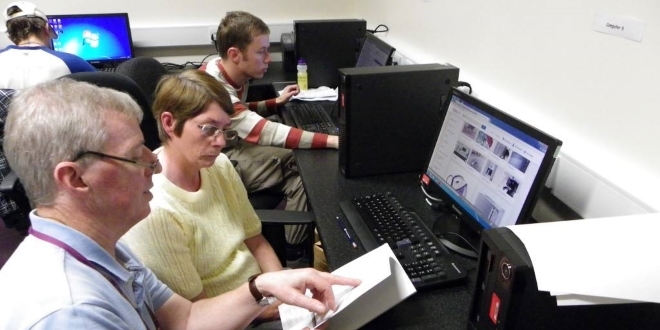 We are a UK Online Center, providing free access to the internet and help people who need more knowledge on computers. With over 40 years of experience and knowledge in the education sector we have an excellent track record of supporting learners, schools, communities, regional and national charities. View our impact statement to see how how G2G Communities CIC has been making an impact in North Wales and the surrounding community in and around Rhyl over the years. Why not contact or visit us to discuss your requirements, we will be happy to help and provide you with assistance.